Several cemetery locations have been used by Fort Snelling throughout its history. In 1870 the Fort Snelling cemetery was created to serve as a burial place for soldiers who died while stationed at the fort. In the mid-1930s members of the Grand Army of the Republic, Spanish-American War Veterans, Veterans of Foreign Wars, Disabled American Veterans, Jewish War Veterans, and the American Legion came together to push for the establishment of a national military cemetery at Fort Snelling. Theresa Ericksen, an army veteran, was instrumental in the effort. In 1936 and 1937 Congress approved the project and passed laws that allowed the secretary of war to set aside a portion of the Fort Snelling military reservation for the cemetery. Fort Snelling National Cemetery was dedicated on July 14, 1939, marking the first time a grassroots movement resulted in the founding of a national cemetery. George H. Mallon of Minneapolis was the first person buried there. Mallon was a graduate of the Fort Snelling officers training camp, a World War I veteran, and a Medal of Honor recipient. Burials from previous Fort Snelling cemeteries, dating back to the 1820s, were also moved to the national cemetery. The entire site, administered by the US Department of Veterans Affairs, comprises 436 acres and remains the final resting place for over 180,000 service men and women. Allert, Johannes. "Ericksen, Theresa (1868–1943)." MNopedia, March 29, 2017. Allert, Johannes. ‘It’s Comradeship That Counts!’ How ‘Our Little Minnesota Nurse’ Helped Created the State’s First National Cemetery. (PDF) Minnesota History 65, no. 8 (Winter 2017–18): 302–313. US Army Memorial Affairs Agency. Fort Snelling National Cemetery. Washington, D.C.: US Government Printing Office, 1972. US Department of Veterans Affairs, National Cemetery Association. 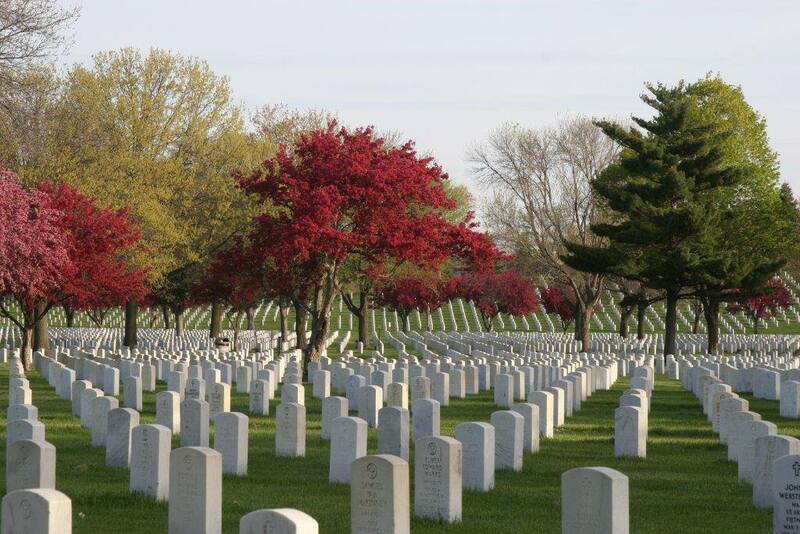 Fort Snelling National Cemetery. Theresa Ericksen, about 1930. 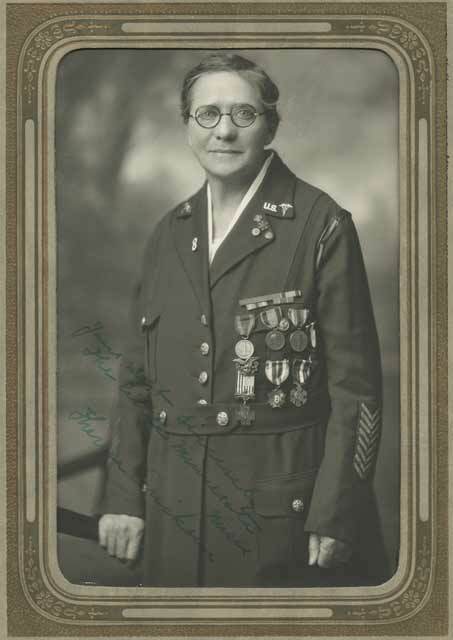 Theresa Ericksen, about 1930.Source: MNHS Collections. 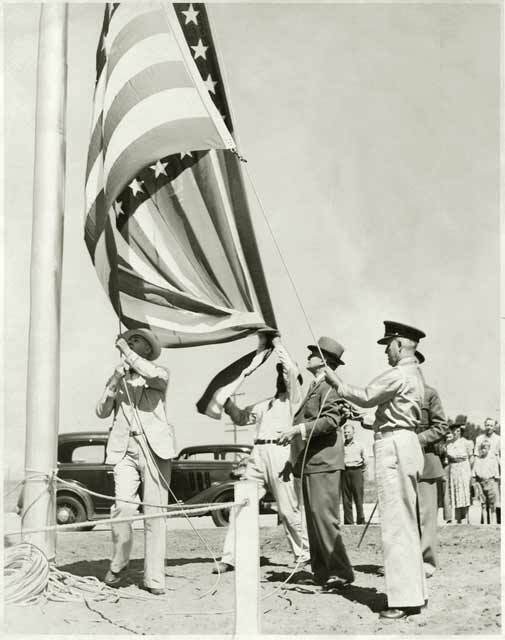 The dedication of Fort Snelling National Cemetery, 1939. The dedication of Fort Snelling National Cemetery, 1939.Source: MNHS Collections.